Strong body odor can be an embarrassing problem. Commercial deodorants and sprays may improve the situation temporarily, but do not address the underlying problem. To manage the problem permanently we need to first understand the causes of body odor. Our skin sweats to excrete waste, and when sweat dries on the skin it can smell. Therefore, depending on one’s lifestyle and level of activity, regular baths or showers are important to maintain good hygiene. When washing, focus on troublesome areas such as the armpits and feet. Dry your body well. If your skin is dry, it is harder for bacteria to breed on it. Using antiperspirant deodorants blocks the pores thereby preventing toxins from coming out. In the long run, this can result in a build-up of toxins which can cause body odor. Armpits have an important function in getting rid of toxins, therefore it is important to keep them unclogged by using natural aluminum-free deodorants. An important function of the sweat glands is to excrete toxins from the body. The sauna aids in this as it allows your body to really sweat. It opens up your pores and allows toxins to come out through the skin. Having weekly steam baths or saunas detoxifies your body, thereby improving your natural scent. Natural fiber clothing like linen, cotton, and silk allow the skin to breath thereby minimizing moisture in which bacteria thrive. Keep your clothes clean and change them daily. Allow your feet to breath by wearing sandals when possible, and going barefoot as soon as you get home. What you eat largely affects your body odor. Chlorophyll-rich foods such as spinach, wheat grass, leafy greens, and kale, are natural deodorizers which keep you smelling fresh. This is the reason many brides go on a detox before they get married. Pungent foods such as garlic, onions, spices, and caffeine, may cause bad odors to seep from your pores after you eat them. Limit your intake of these foods to not more than once a day, and remember to stay well hydrated. If you smoke, the smell of tobacco can seep from your pores and cause your sweat to smell. Bacteria thrive in warm, moist environments and can cling to underarm hair. Being cleanly shaven can help reduce odor. 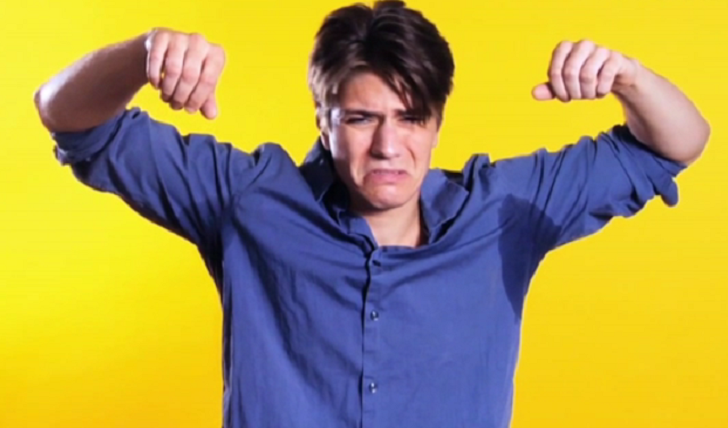 It is normal to sweat under your armpits, however, if your body is healthy and clean, you shouldn’t smell. If after trying all these you still experience extreme body odor, seek medical advice.